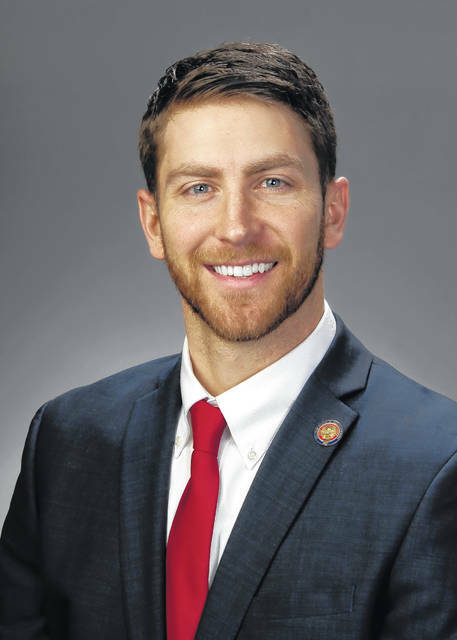 COLUMBUS — State Representative Riordan McClain (R-Upper Sandusky) today was appointed by Speaker Cliff Rosenberger (R-Clarksville) to serve on four House committees. Rep. McClain will serve on the following committees: Agriculture and Rural Development, Government Accountability and Oversight, Higher Education and Workforce Development, and Ways and Means. Rep. McClain was sworn in as state representative of the 87th Ohio House District in January, which includes Wyandot, Crawford, and Morrow counties, as well as portions of Marion and Seneca counties.